Let's decorate your home with the latest amazing color and pattern which will make your room unique. This beautiful carpet is 100% handwoven Kashmir silk rug. This is suitable for your living area. Stunning with an amazing pattern, handmade carpet is made in the finest quality of Kashmir silk. 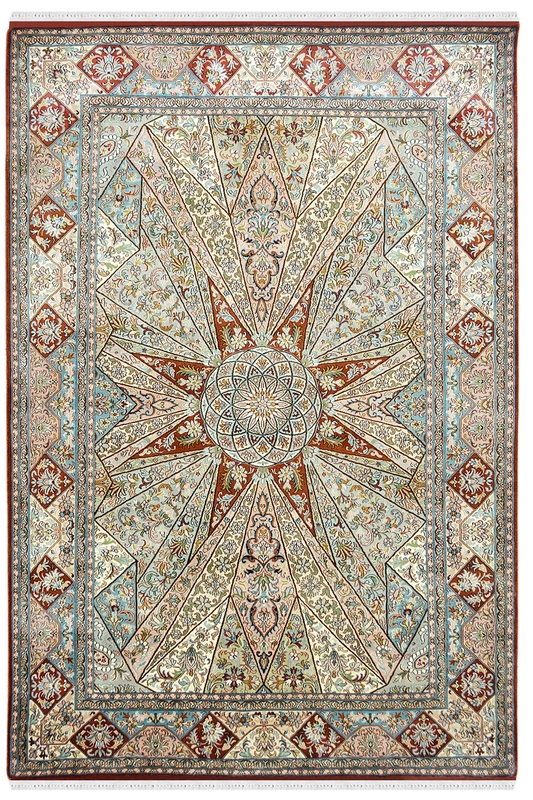 This beautiful rug made by our skilled craftsmen. Great color which makes your room more luxurious. This is 100% hand-knotted rug and has taken approximately 8 months to weave. Number of Knots in this rug is approx 576 knots per square inch. The base is in silk and top is also on pure silk material. It has very intricate design pattern. It means warp in cotton and weft in silk.